Get caught up in the Wimbledon fever thats sweeping the UK! AllSlots Casino is offering an Exclusive 77 Free Spins on the Center Court Online Slot in celebration of the start of wimbledon. The minimum deposit to unlock the free spins is £25. The 1st deposit at AllSlots Casino is 100% up to £200. So if you make a deposit of £200 then you will get a £200 bonus and get to play £400 AND 77 FREE SPINS with your first deposit. Now thats one hell of a bankroll for a 1st deposit bonus. Thats not all, for your 2nd deposit at AllSlots Casino get 25% up to £100, for the 3rd deposit get a 50% up to £100 and a 4th deposit gets you 25% up to £100. 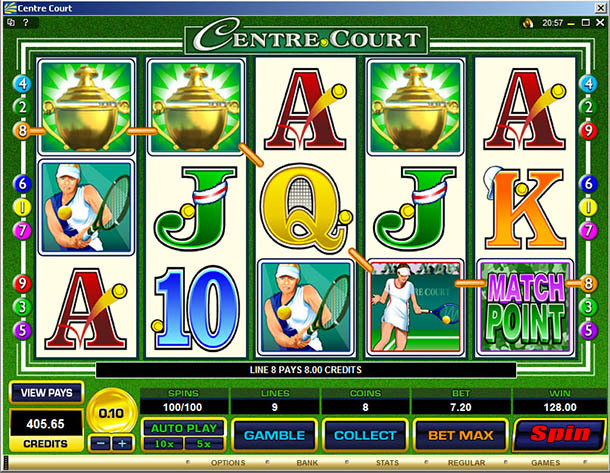 Centre Court is a 5 reel 9 pay line online slot based on the wonderful game of tennis. The minimum bet per line is 25p and the maximum bet per line is £22.50. The Centre Court slot comprises wilds, scatters, multipliers as well as a free spins bonus feature. There is also a special card based bonus game within the slot. 1. 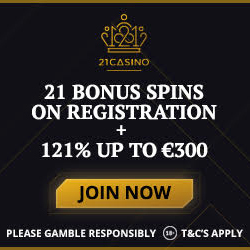 This Exclusive 77 Free Spins offer is available only through this website and may not be transferred to a third party. 2. This offer is available to residents of UK and Ireland only. Players from other countries can take advantage of the 33 free spins on the Bust the Bank Slot. 3. To Get the bonus simply open a new account and deposit $/£/€25 to unlock the 77 FREE SPINS. 4. 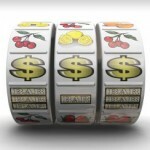 The winnings from the free spins are regarded as bonus funds are eligible for a 30 times wagering requirement. 5. 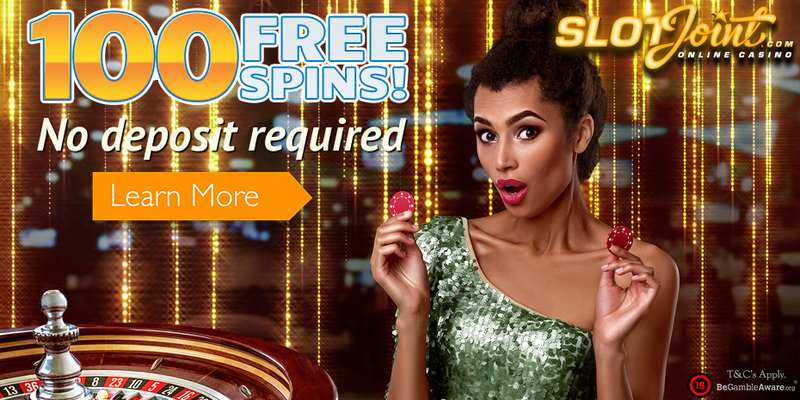 The free spins will be credited to the players account 1 hour after the first deposit has been made. 6. The wagering/playthrough requirements on the 1st deposit bonus is 30 x (bonus + deposit). 7. The wagering requirement for the 2nd,3rd and 4th deposit bonus is 25 x (bonus + deposit). 8. The 2nd, 3rd & 4th deposit bonuses must be made within 7 days of making the 1st deposit. Posted in AllSlots Casino, Butlers Bingo, free spins on slots.